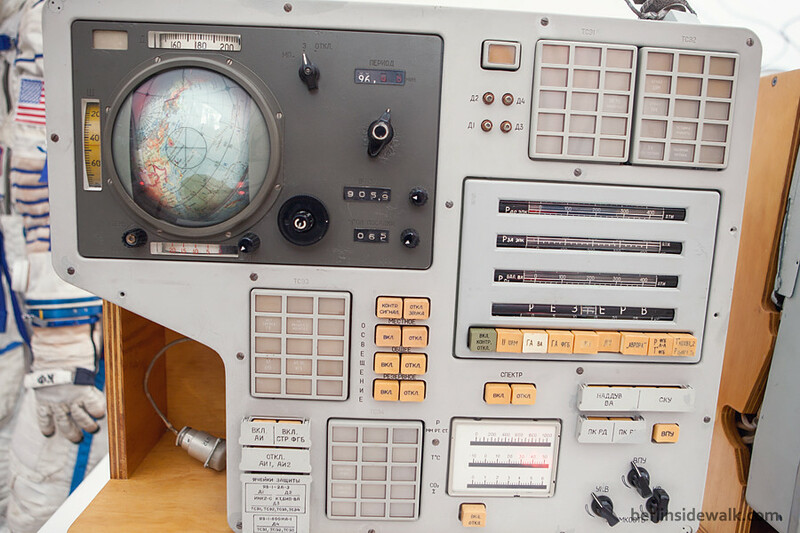 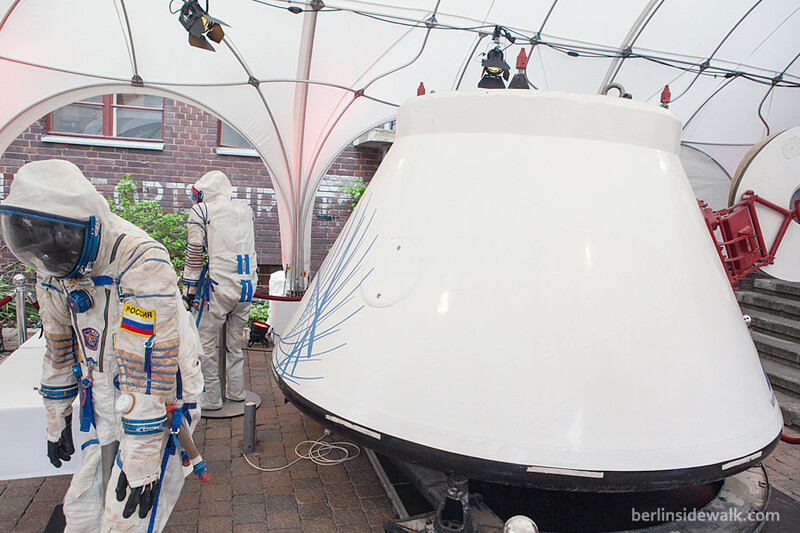 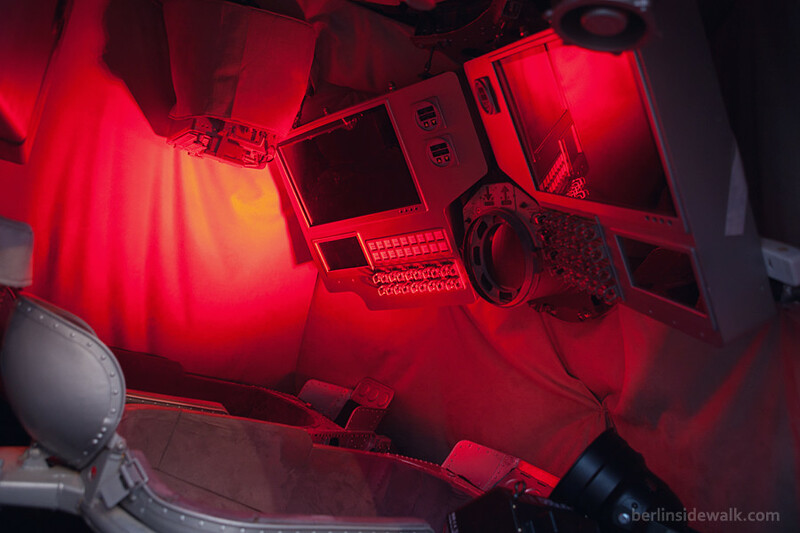 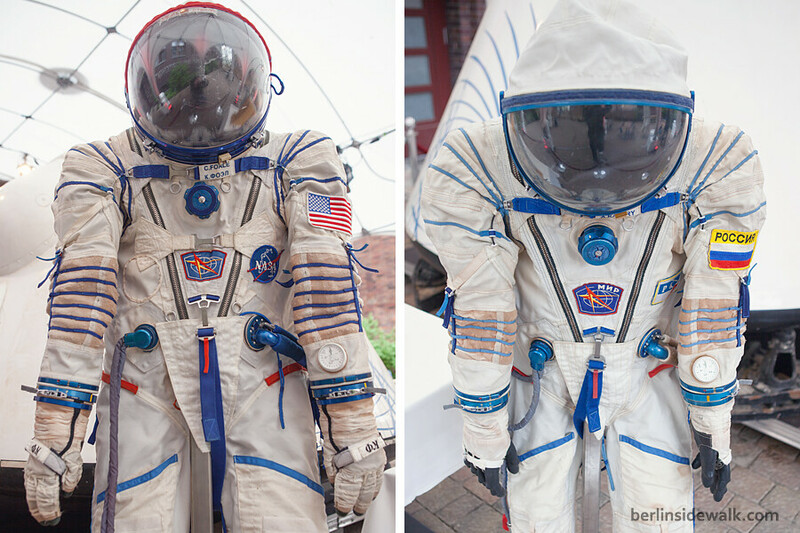 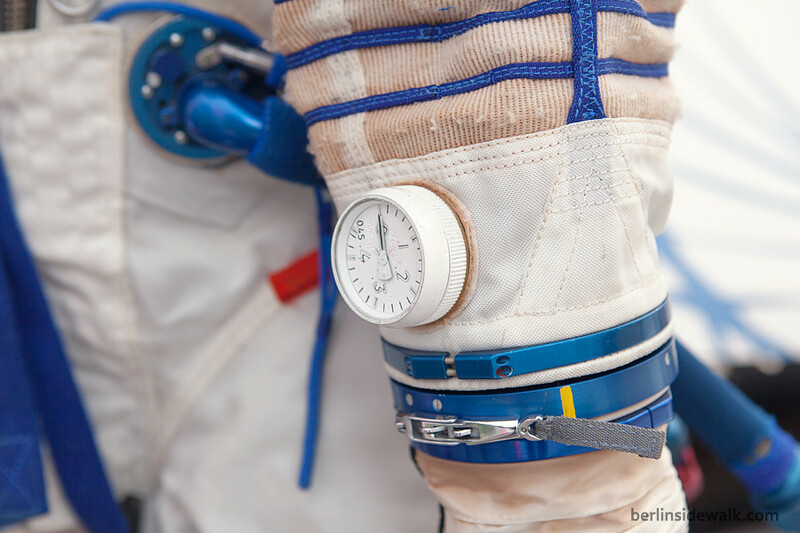 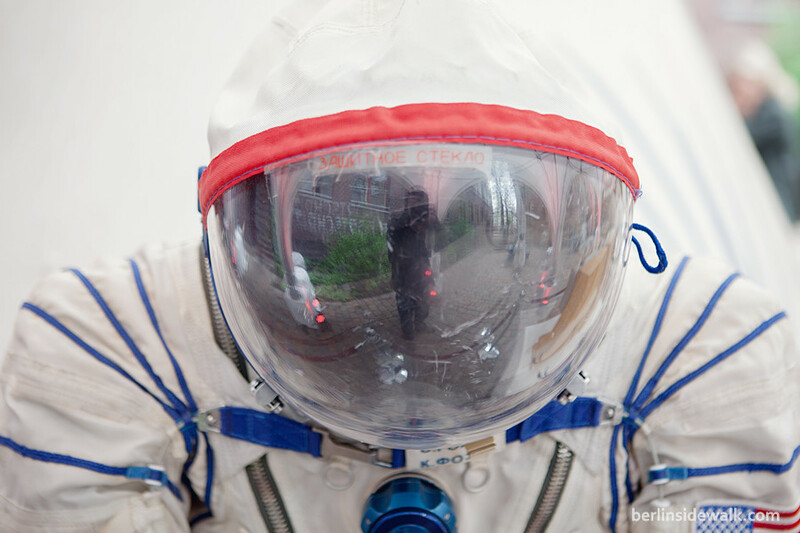 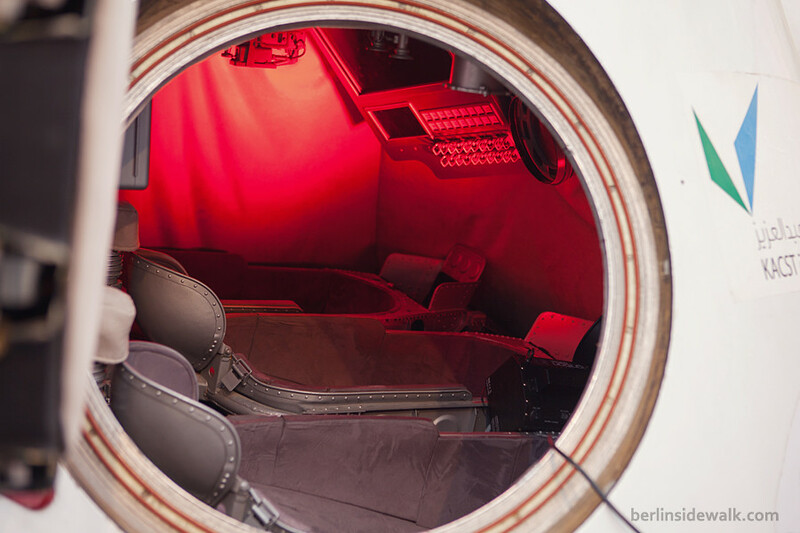 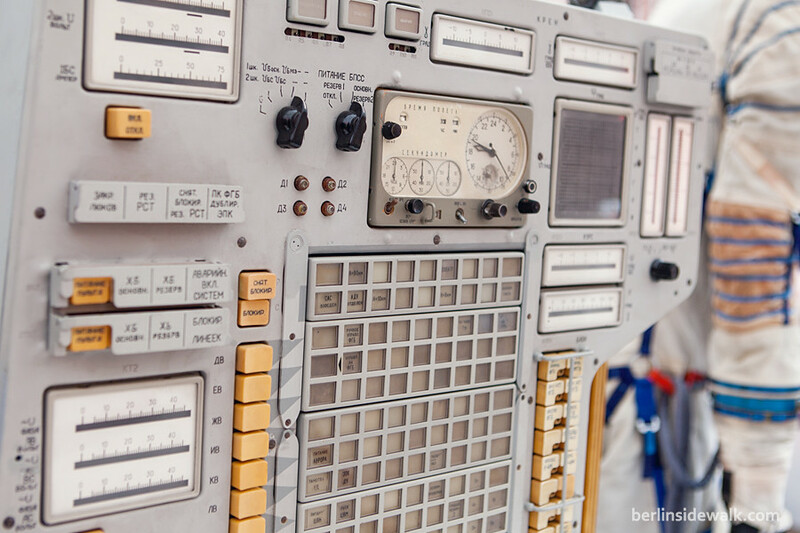 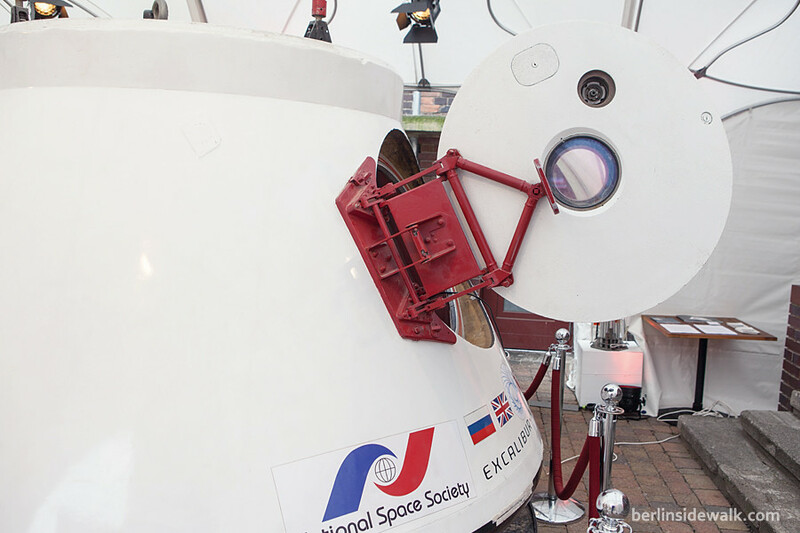 A former Soviet space capsule was exhibited at the Jüdische Mädchenschule in Berlin from April 4-7. 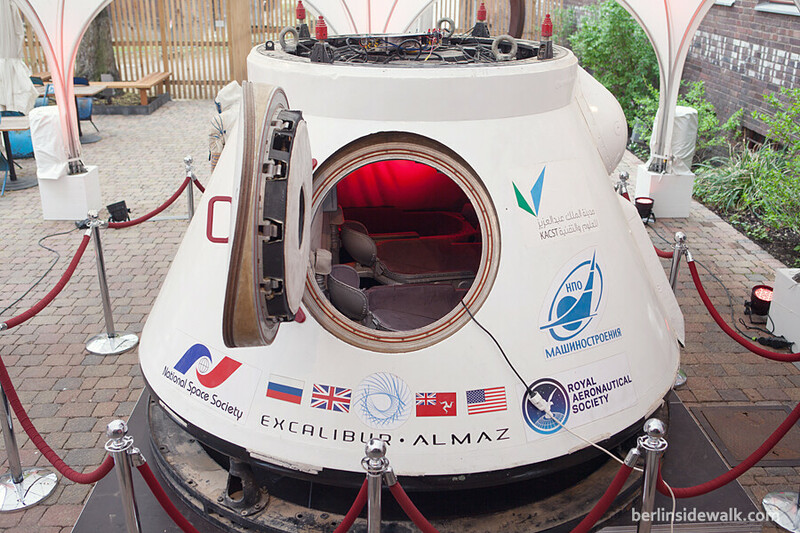 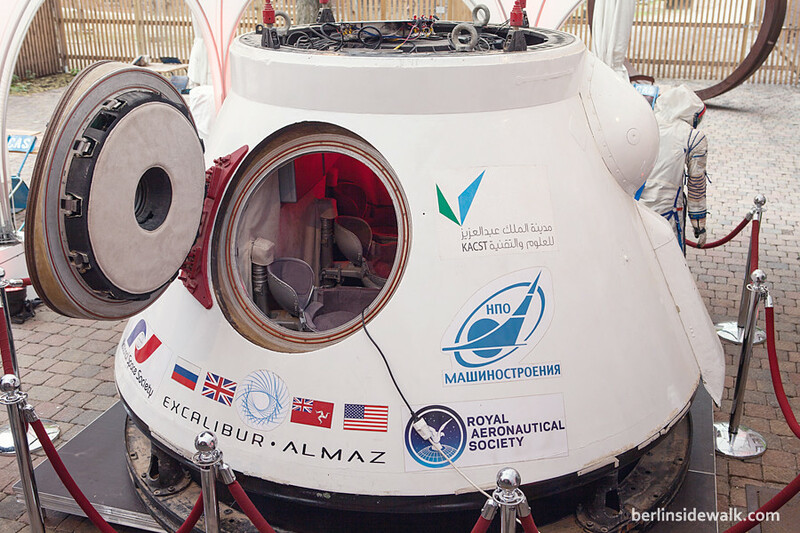 The capsule, named Vozvrashchayemyi Apparat, is scheduled to be sold at auction in Brussels on May 7. 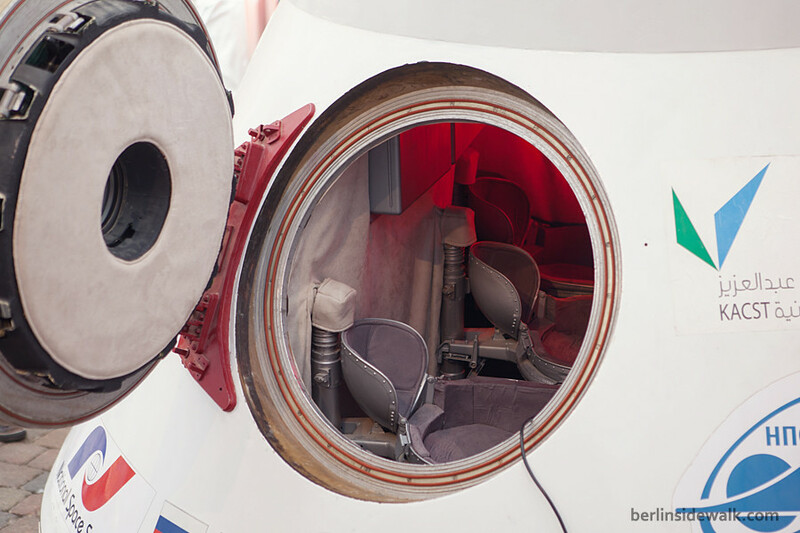 The 1850kg heavy device, which could carry three astronauts, went to the moon and back two times in the late 1970s. 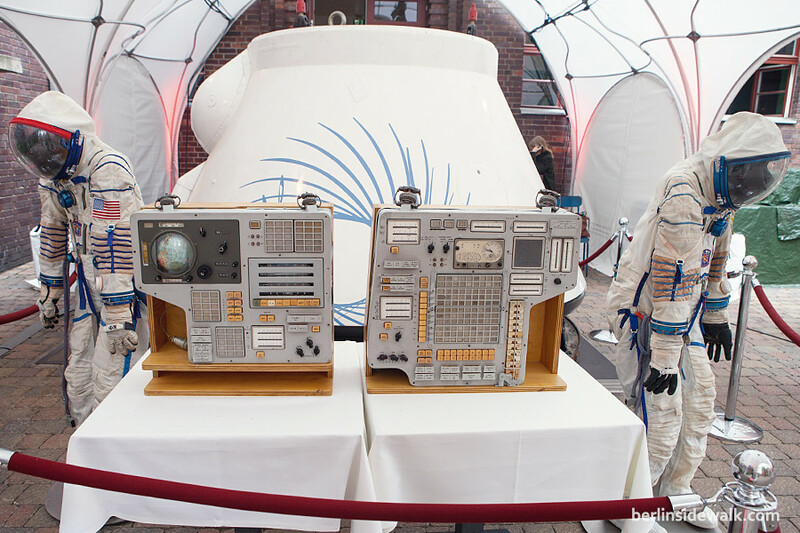 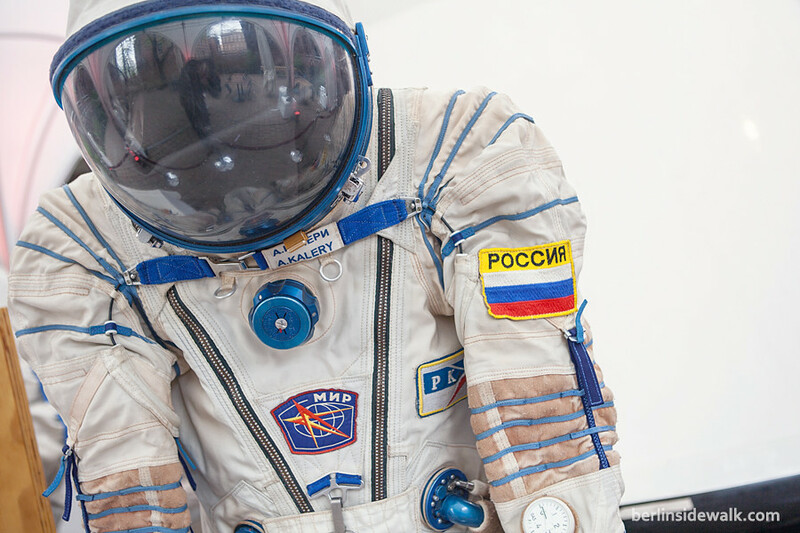 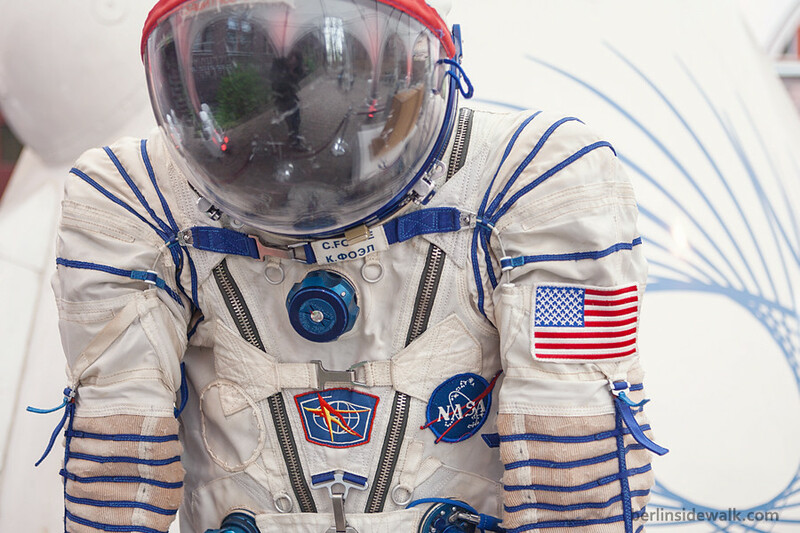 Two Sokol-KV2 Space Suits were also displayed together with the interior electronics.